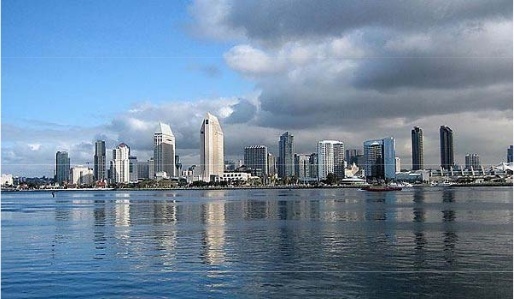 The 65th Annual Meeting of the American Physical Society's Division of Fluid Dynamics (DFD) will be held in San Diego, California from November 18th to 20th, 2012, hosted by the University of California, San Diego. The first annual meeting of the DFD was hosted by the Naval Ordnance Laboratory in White Oak, MD in 1948. Since then, the DFD annual meeting has grown into one of the largest conferences in fluid dynamics, with 2800 attendees from all over the world expected in San Diego. The objective is to promote the advancement and dissemination of knowledge in all areas of fluid dynamics. Graduate students, postdoctoral researchers, university faculty, and researchers across government and industry will share the latest developments in the field. The technical program features oral presentations, posters and videos of fluid flow, including a new student poster competition and mini-symposia on key topics. Other special events include vendor exhibits, student luncheons with senior members and the awarding of the Fluid Dynamics prize and Stanley Corrsin prize. The program is viewable online, or you may download the finalized schedule. A synopsis of the scheduled events is also available for download. Visa request information is available here.